The biggest annual Profesional AV event is waiting for you. 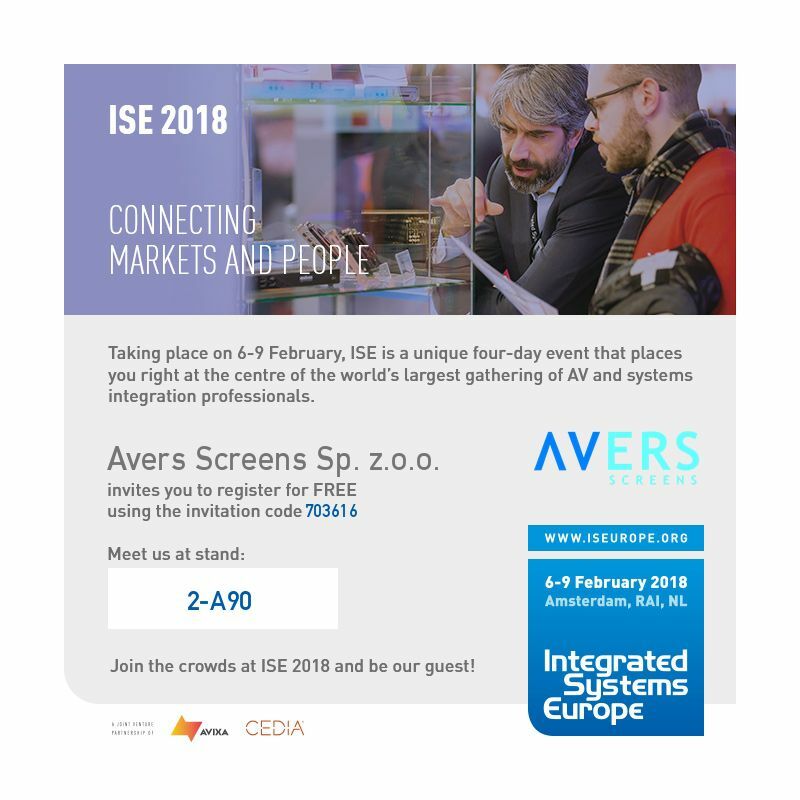 Visit it with Avers Screens. 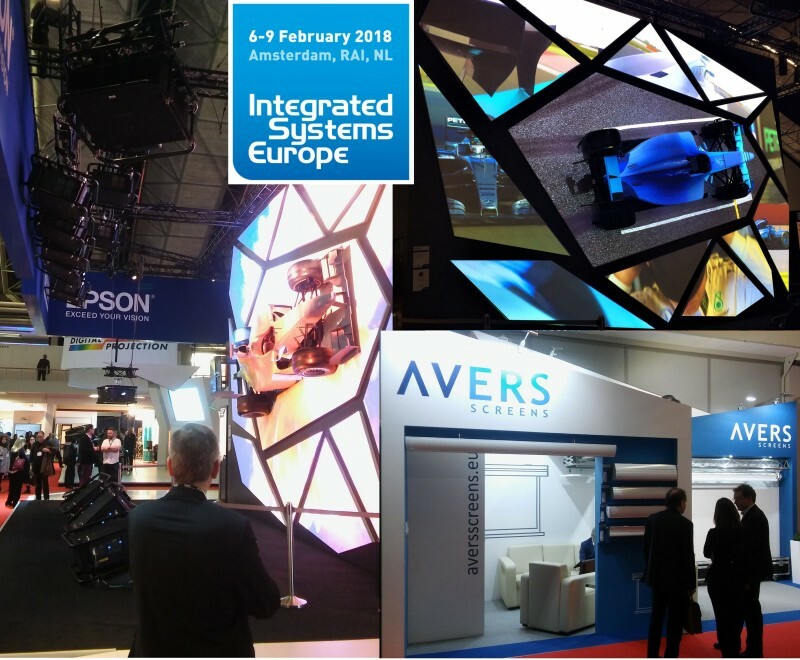 Download your Invitation and Register at web page, use invitation code read from invitation to obtain entrance voucher valid each of 4 days of ISE'2018.